Artists willing to face the Herculean challenge of channeling the relentless deluge of photographic imagery face a profoundly modern futility: There’s no possible way to manage the sheer overload. 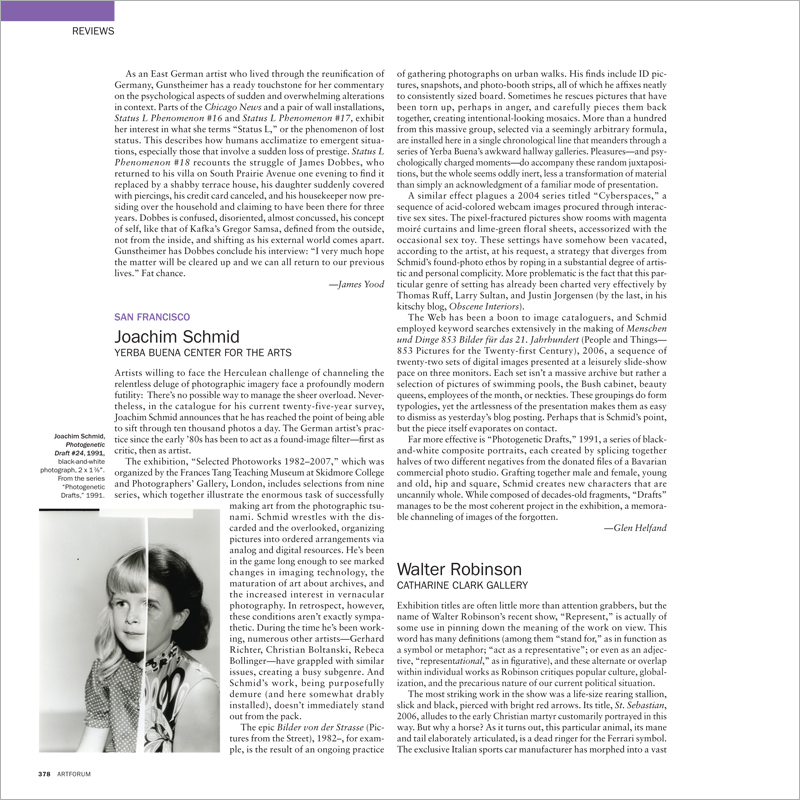 Nevertheless, in the catalogue for his current twenty-five-year survey, Joachim Schmid announces that he has reached the point of being able to sift through ten thousand photos a day. The German artist’s practice since the early ’80s has been to act as a found-image filter—first as critic, then as artist. Exhibition titles are often little more than attention grabbers, but the name of Walter Robinson’s recent show, “Represent,” is actually of some use in pinning down the meaning of the work on view. This word has many definitions (among them “stand for,” as in function as a symbol or metaphor; “act as a representative”; or even as an adjective, “representational,” as in figurative), and these alternate or overlap within individual works as Robinson critiques popular culture, globalization, and the precarious nature of our current political situation.